As I mentioned before, I’ve been researching food diversion. This basically means diverting food scraps from landfills, where they only contribute to the harmful methane emissions. This facet of wasted food is a bit of a tangent for me, as I’m most interested in the edible food that is squandered. But it’s interesting nonetheless. While we don’t think of food as a pollutant, it is the largest component of the waste stream and landfills are the leading U.S. methane emitters. What I recently learned is that methane, although 21 times more harmful than carbon dioxide, is responsible for about 20 percent of all global warming. Of today’s world methane emissions, half are caused by humans. And no, I don’t mean by “passing gas” (although livestock burps and other “emissions” are a significant factor, as I learned from my time in New Zealand where the government proposed to tax farmers for their herd’s emissions). But back to food waste. I’ve been looking at whether colleges divert food from their waste stream and if so, how they do it. The University setting makes perfect sense for composting–the form most diversion takes–they have the infrastructure, the will, the finances and a whole lot of food. When it works, it really works. Not far from me, the University of North Carolina at Chapel Hill began composting from cafeterias in 2000. They first diverted about 260 million tons of food each year, with pickups six times per week. In Fiscal 2005, they composted 468 million tons of food (see page 9 of the report). There are many universities doing similar things. In the Boston area, Boston University, Harvard, M.I.T., Northeastern, Tufts, and UMass Boston all seperate food waste for composting. College food composting could get a boost from RecycleMania. The EPA-sponsored event, in its seventh year, pits schools against each other in a number of categories. One targeted material is “food service organics.” The competition began Sunday and runs until April 7. Curiously, the top six teams in 2006 “food service organics” were from New England. While composting is quite useful, it is lower on the EPA food hierarchy than feeding excess food to animals. Unfortunately, composting is much more widespread than animal feeding. In my research, I haven’t found many colleges that feed hogs. I know that Bob Shisler, a pig farmer from New Jersey, still collects food waste from Temple University in Philadelphia. He used to do the same with Villanova, but Shisler doesn’t need as much food because he’s raising fewer hogs today. I’ve heard anecdotally that the more factory farms won’t use food scraps because they want their piggies’ diet to be uniform. 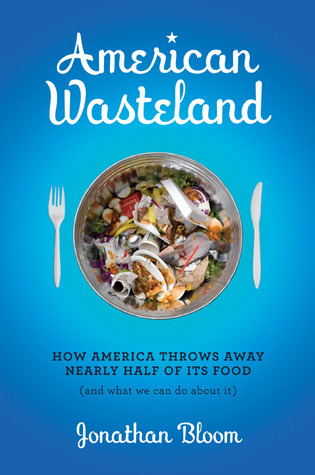 Food waste, while abundant, is not that. This entry was posted in School. Bookmark the permalink. Both comments and trackbacks are currently closed.